Abstract: A small team at the Marine Laboratory, Aberdeen undertakes research into the principles of operation of all types of fishing gear, particularly trawls. The team aims to relate the behaviour of the gear (shape, loading, vibration etc.) to the behaviour of the fish to gain a better understanding of how and why fish are caught. Such knowledge can be useful in fisheries management. The project discussed here is concerned with the engineering performance of the complex systems of wires, weights, floats, netting and spreading devices which constitute all types of fishing gear. Remote sensing does not just refer to satellites. One of the more promising remote sensing techniques uses ground–based HF radar. Also, of course, airborne instruments are possible, but are usually too expensive for routine use, so will not be considered here. This paper will concentrate on applications relevant to UK waters, but some, such as detection of ice, which are crucial elsewhere will be mentioned in passing. Some remote sensing techniques are relatively straightforward in principle and the measurements they make can be interpreted with reasonable confidence. Some others which are promising are so subtle that in spite of a great deal of work by a lot of clever people, we still cannot be sure about the interpretation of the data they produce. Previous experience shows that as long as interest is maintained, such situations slowly clarify, and one hopes that this will happen in these cases. This paper will start with short descriptions of the various sensors. It will then consider some of the operational characteristics of practical systems, and look briefly at how the data are disseminated. Some characteristics of the sensors proposed for ERS–1 are given in the Appendix. Abstract: Depending upon the terrain, seabed soils, environment and problems created during constructions, free spans in a pipeline system can either be an aspect requiring routine inspection and maintenance or a major operational headache. Other than the establishment of a maximum allowable length, free spans are not usually a consideration at the design stage unless the terrain requires it. However, since exploration and production is moving into deeper and more hostile waters, the analysis of spans is becoming an involved subject. The advancement in underwater technology which has taken place over the last few years now provides for very detailed and revealing surveys from which data are derived to permit a thorough analysis. Visual inspection is committed to video, allowing re–evaluation and confirmation of measurements. Remedial action to correct spans is very expensive and warrants careful evaluation to justify it and establish appropriate methods and procedures by which to carry it out effectively. In this paper, both the analytical as well as more practical aspects are discussed. Abstract: Recent interest by the offshore engineering industry in the marginal ice zone (MIZ) regions of the sub–Arctic (i.e. the Bering Sea, Labrador Sea and Greenland Sea) has highlighted several operational problems which have no equal elsewhere in the world. One of the most problematic is the presence of significant destructive ocean wave energy well inside the ice edge. Waves penetrate the ice cover and, despite being selectively damped by ice floes encountered en route, they are still of sufficient amplitude to damage a structure by providing the energy to bring adjacent floes into motion. The calculation of the dynamic ice loads generated by this means requires detailed knowledge of the behaviour of ice floes in sea waves, and of the mechanisms by which the penetrating waves are attenuated. This information is not yet available in the engineering literature and requires further investigation. Abstract: One of the major differences between mariculture and cattle breeding is that the larvae of most aquatic animal species of commercial interest, which are grown in intensive hatchery systems, have to be offered a live food whereas cattle accept inert diets throughout their lives (Ref 1). In this regard the early pioneers in controlled farming of fishes and crustaceans were hampered by the technological difficulties in collecting the necessary small zooplankton organisms from nature or producing them under controlled conditions (Ref 2). Abstract: When designing ships or offshore structures for use in ice–covered waters, it is important to know the thickness distribution of sea ice in the likely area of operations. Similarly, the designer of offshore Arctic pipelines must be able to predict the deepest pressure ridge in the nearshore zone, so as to know the water depth to which there is a danger of ice scouring. At present there is no reliable airborne technique for the measurement of sea ice thickness, although impulse radar has yielded promising results over fresh–water ice and over undeformed sea–ice sheets (Ref 1). We shall show in this review that airborne laser profilometer data can be interpreted to yield a reasonable estimate of the pressure ridge depth distribution in sea ice. Traditional techniques of hole drilling can yield a reasonable estimate of the mean ice draft over a region with a view hundred randomly sited holes (Ref 2) but an impossibly large number of holes is required to yield useful information about the distribution and bottom topography is still the submerged upward–looking sonar. Abstract: The world’s appetite for oil has led to exploration in and production from ever more hostile areas. The move in the 1970s to the Northern North Sea was a major step forward and engineers realised that they would have to design for environmental loading never encountered before. It had, though, one major advantage−it lay on the doorstep of a politically stable and well developed group of countries and it was relatively easy to extend existing organisations such as the UK Meteorological Office and the IOS to collecting environmental data to assist designers in estimating the loads to which the new structures would be subjected. Abstract: The Department of Energy give the following guidance concerning in–service inspection of offshore structures: “In–service inspections of fixed installations should be planned by an experienced engineer who has examined the design characteristics, the records of severe environmental and other loads to which the structure may be been exposed and any available records of structural behaviour such as settlement, tilt, distortion or abnormal response, etc…” and further appropriate advice is given on what considerations should be made before drawing up the inspection schedules. However, no detailed advice is given on precisely what should be inspected and when, this being left to the ‘experienced engineer’ in consultation with the surveyor from the certifying authority. 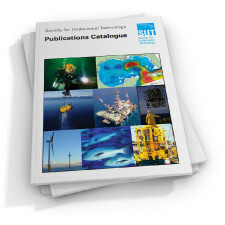 This paper outlines a techno–economic approach to subsea inspection and maintenance that is under development at Strathclyde University as part of the Project MASS (Maintenance Activities Sub–sea Surface) research program. After a brief look at the background of structural reliability and cost consequences of failure the basis of the approach is presented. Unfortunately many of the critical parameters involved are subject to uncertainties and the effects of these are discussed together with the results of inspection that are used to draw inferences about the state of the structure. 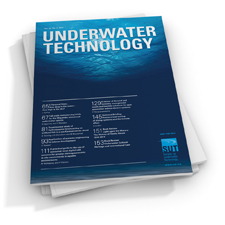 Abstract: One–Manned Atmospheric Diving Systems (ADS) have now been commercially available for more than 10 years. During this period numerous different craft have been designed and constructed−from the JIM, SAM and Wasp which Oceaneering presently operate to the more elaborate and complicated units such as the Spider and Mantis. 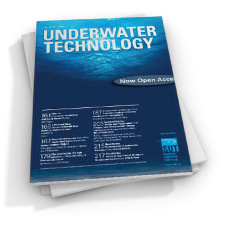 This paper briefly describes the equipment incorporated into Oceaneering’s ADS systems. It discusses some of the more salient points gleaned from recent trials and outlines the contingency plans used by the company. A fundamental issue raised is that of providing onsite back–up to initiate a rescue without delay from having to mobilise a second craft to the location. In 1969, Jacques Cousteau had built by Sud Aviation in France probably the first vehicles for routine deep water use. They were called Puce de Mer, or Sea Fleas, and had a depth rating in excess of 1500 ft. It should be noted that the Sea Fleas were constructed as a pair because of Cousteau’s conviction that one should always act as a standby in the event of an emergency; Cousteau’s concern was real enough for him to devote one of his television documentaries to the staging of a mock rescue to show in detail how one vehicle could be used to rescue the other. Underwater Photogrammetry − Of What Value to the Offshore Industry? − physical dimensions, e.g. to fit a riser or fabricate a spool piece. The list can certainly be expanded and so it can be concluded that a considerable time is spent by divers in taking measurements underwater. This applies to construction/maintenance as well as to inspection. How accurate and efficient is this work? How reproduceable are the measurements? How often are additional measurements required following the original survey? What of underwater vehicles? How many measurements are they asked to take? Are these really measurements or guesstimates on the part of the pilot or observer? 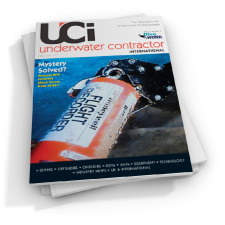 How much time and money could be saved if a vehicle could replace a diver in obtaining the required measurements? 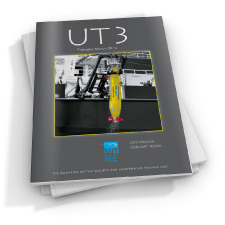 Only three years have passed since an underwater Photogrammetric Service was offered to the North Sea Offshore Industry by the Association of Camera Alive Limited, Hunting Surveys Limited and Underwater and Marine Equipment Limited (Refs 1 and 2). These same questions were asked then, with the suggestion that underwater photogrammetry could offer an alternative means of measurement. The fact that demand for cameras has doubled every year since the setting up of the service and that the majority of Operating Companies in the British Sector have used the services of the Association, would indicate that underwater photogrammetry offers many advantages. (ii) production profile and market value of the product; (iii) operating and maintenance costs. Provided the rate of return on investment is satisfactory, the field will be declared ‘commercial’ (Ref 1). The rapid increase in selling price of the oil during the 1970s made offshore production economically viable to the extent that over one billion dollars could be invested before the field came ‘on stream’. Offshore production system design should consider the requirements of wellheads and trees, workover equipment, choke manifolds, process equipment, utilities and accommodation. These are shown diagrammatically in Fig.1. Conventional fixed platforms and the Conoco Hutton tension leg platform have all this equipment positioned above water level (see WL1 in Fig 1). Abstract: The development of a manned underwater vehicle for the support of scientists engaged in scientific diving is described. The vehicle, modular in concept, is an integrated shallow water system with a navigation, homing, photographic and data logging capability. The photographic and electronic sub–systems of the vehicle are automated as far as possible to simplify the workload of the pilot. In operation, the dive is planned in detail taking into account the particular requirements of the mission whether photography, data collection or both. The data logger is switched on before the dive commences and can then be left recording for two hours without further attention. The camera is motor driven and the interval between exposures is set in advance by an adjustable timer. The camera is simply switched on once in position at the sea bed. Planned transects can be followed and measured with the compass and chronometer or log. Returning to the starting point or finding a given position is possible by making use of the pinger locator which not only illustrates direction towards the pinger but also indicates the approximate range. The vehicle is fitted with a very simple sonar system and a trainable transducer which can be orientated upwards for depth, forwards for obstacle avoidance or downwards to determine depth below the keel. Abstract: This subject has been discussed by the Society’s Environmental Forces Group 9SUTGEF) and a paper with the above title and authorship is to be presented at the forthcoming ‘Oceanology International’ Conference to be held in Brighton in March (6th to 9th) 1984. It describes work now in progress at the NMI Ltd on the compilation of a new global atlas of wave statistics by HMSO in 1967 (Ref 1) and now out of print. Like the original book the new atlas will be derived from the global archives of visual observations held at the UK Meteorological Office. It will however offer much greater reliability as well as much denser and more extensive global coverage because improved methods of analysis and a massive increase in the number of observations now available. More than 10 times the number of observations will allow much denser coverage of more than twice the number of areas. Abstract: Existing diver–held pneumatic and electronic decompression meters assist in carrying out in–water decompression, but reference must still be made to a printed table to plan a diver. A printed table, however, cannot easily present information for variable–depth profiles, and multiple exposures require more complex rules for usage. the ideal device should be capable of accurately following a dive profile, including ascent to altitude, and also of operating in an accelerated time ‘look ahead’ mode for planning purposes. Recent price reductions and advances in micro–processor circuitry and software will accelerate the emergence of a new class of accurate hand–held digital computers capable of meeting the most exacting decompression requirements. However, it will be very difficult to evaluate any one device without some kind of specification. This specification should describe the basic operational features necessary to achieve an acceptable and safe performance and should act as a guide to future designs. The standard decompression table to be used, and its generating computational algorithm, can be debated at a later stage. As a first step, specifications of decompression–relevant computer hardware and modes of operation will be proposed. Abstract: The extreme wave height specified for the design of offshore structures in UK waters is the 50–year return value, i.e. that which is exceeded on average once in 50 years. However, it would seem sensible to consider the possibility of even higher waves occurring during the design life of the structure. For example, if the structure is to stand for 25 years then there is a 5% probability that it will encounter the 500–year wave, and a ¼% probability of encountering the 10,000–year wave. This paper proposes a simple model giving a rough estimate of long–period return values, such as the 10,000 year return value of wave height which is sometimes used as a design criterion for crucial parts of an offshore rig. Abstract: The Society for Underwater Technology launched last summer and autumn what it hopes will be an ongoing and growing Awards Scheme to promote youthful endeavour in areas of interest to the Society. We awarded scholarships in a competition open to all students embarking on a course of study at Master’s level in an appropriate subject. The competition was judged on the basis of an essay outlining the relevance of the proposed course to the career which the student foresees in areas of application relevant to the Society’s interest. The first prize of £1,000 went to Nicholas Gassman for his essay on the human factors in diving. The second prize of £750 went to Fiona Duckett whose entry was a succinct essay on the challenges of maritime engineering. An edited version of both essays are published in this issue of the Journal. Abstract: The Society’s publication Education and Careers in Underwater Technology starts with the following words: “The exploration and exploitation of the sea presents mankind with great opportunities and great challenges in the immediate future.” Just how the exploration and exploitation are carried out are, of course, highly relevant to the interests of the society. My own interests and proposed area of research lie mainly on the human factors side. My training is as a psychologist, and I have an interest in diving and the sea. It may be a matter of underwater technology to build and install a drilling platform, but today the diver is still needed for maintenance, pipe laying, and so forth. The psychologist’s task is to clarify the factors which affect performance on the task, and to try to devise methods of getting the job done as efficiently and safely as possible. As Baddeley (1971) has remarked, the psychologist brings his skill and experience in carrying out experiments with people to the job. He also points out that it is the job of the ergonomist to compare different types of equipment in use, in co–operation with the engineer. I shall say more about the task of the psychologist in underwater research and development later. Abstract: Maritime engineering constitutes one of the most challenging and rewarding areas of study known to man. For although it is an ancient field, the ocean’s potential for development is seemingly limitless. Until recently, coastal engineering has been the sole outlet for work in ocean development. The encroachment of the sea is an area of concern which is becoming more serious as time goes on. And, although such preoccupations once belonged only to nations such as Holland, man’s determination to build structures immediately adjacent to the water has resulted in the loss of natural beach protection. It is the coastal engineer who must call upon his ingenuity and foresight to prevent and alleviate such losses in the future. In the past decade, offshore engineering has presented us with previously unencountered challenges. This rapidly developing field offers an entirely new environment. North Sea offshore engineering in the UK and the Beaufort Sea in Canada present contrasting problems in an area of common pursuit. Both countries are eager to exploit the non–renewable resources beneath the ocean floor and both must meet the challenges which arise in such unfavourable environments.